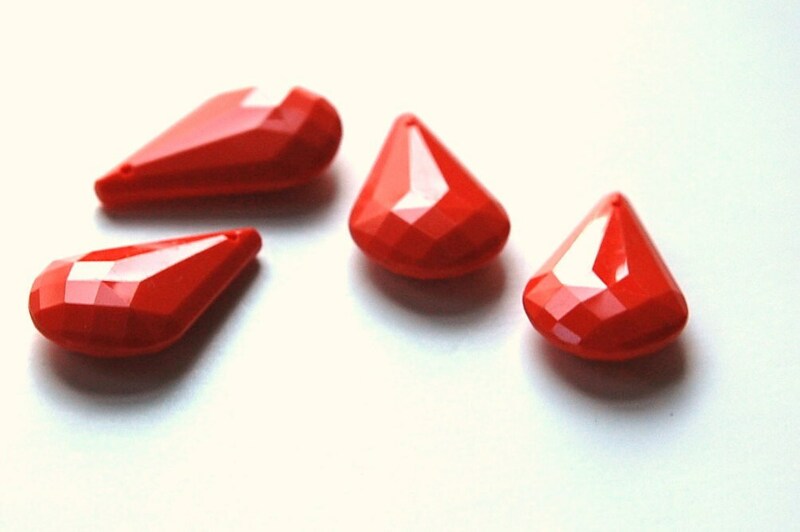 These are vintage, from at least the 1980's, faceted charms or pendants. 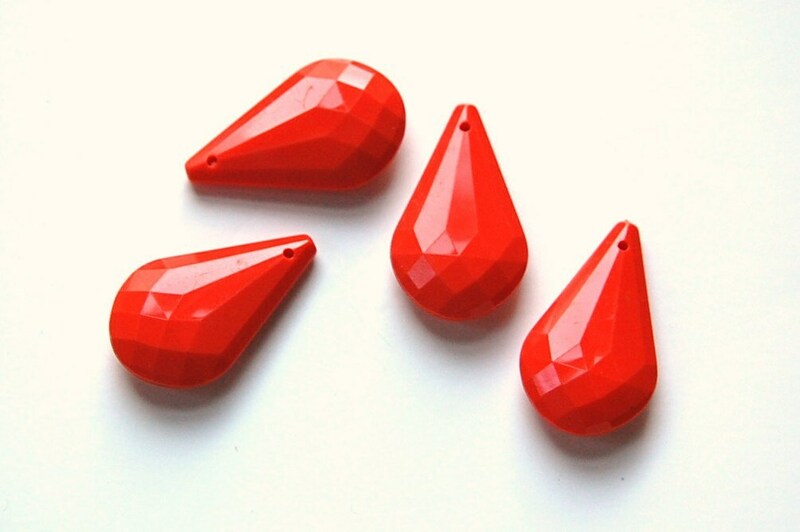 These are done in a coral red color. They have all over facets. These measure 30mm x 16mm. You will receive 4 pieces. These are more coral in person than they may appear in the picture. fast shipping, high quality. I love your items!